Stiff upright stems and a compact habit. 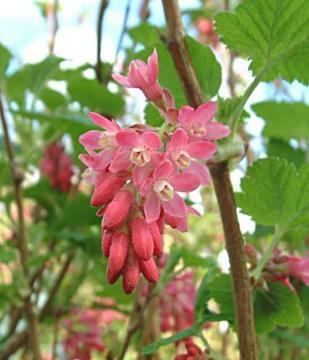 Large racemes of bright crimson flowers, appearing in early spring before the leaves open. One of the best red flowering forms. The broadly lobed leaves have a pungent aroma.